Roofing problems can often be an unpleasant surprise, and sometimes the age of your roofing system simply poses too much risk. 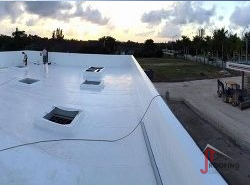 In Melbourne, FL, there is one roofing contractor who is equipped to handle anything and everything when it comes to roofing, and that’s JT Roofing & Maintenance, Inc.
JT Roofing & Maintenance, Inc. has been in the business for over 40 years, and we are a third-generation company. 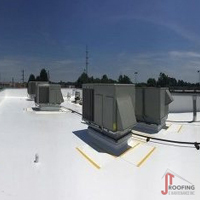 No matter what type of problem or issue you are having with your roof, you can depend on our team to come up with a lasting solution! When you hire JT Roofing & Maintenance, Inc., you can expect that personal touch you simply will not get with other companies in our area. Our team takes great pride in our quality of workmanship, and with every job we complete, we take complete ownership of a job well done. That is our promise. 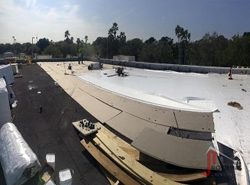 Get in touch with someone from our team, and we will talk with you about the issues you are having with your roof, so we can make sure we provide you with a lasting solution. If you have a roofing emergency, make sure you call us. We are available 24/7 for emergencies!